InnovationX may be over for 2019. However we can now share the experience through some of the content and the highlights of the event. Whether you attended and missed a session or you could not make it on the day, you can now view the recordings of the sessions and the photos of the day. When intelligence, innovation and heartfelt purpose come together, the impact can change lives. We live in a world where incredible technology and industry-leading solutions are part of our everyday – transforming the world we live in and bringing new possibilities to life at lightning speed. Join us at InnovationX where you will engage with powerful stories and be inspired with extraordinary hands on displays of life-changing innovation. It’s the perfect opportunity to discover the story of your future innovation journey. DISCOVER. 60+ Speaking Sessions, hands on interactive showcases, demonstrations and experiences designed to help you succeed. CONNECT. With 1000+ business leaders and technology partners while networking and enjoying our Great British food festival. Be INSPIRED. By immersive experiences, incredible speakers, including Dina Asher-Smith, and real examples of innovation. Join us for an exclusive live interview with Britain's fastest woman in history, Dina Asher-Smith, and discover her inspirational story of passion and determination. With British records in the 100m, 200m and 4x100m; British Junior records in the 100m and 200m and the European Junior Indoor record in the 200m – Dina has fast become one of the most highly-celebrated young athletes of today. After breaking her foot in February 2017, she trained harder than ever to make her way back to the track – making 2018 her best season to date. This resulted in her winning triple gold at the European Championships in Berlin, earning herself the title of the fastest women in the world in the 200m. Interviewing Dina live on stage will be legendary anchor, Chris Hollins. Famed for his 2009 victory on Strictly Come Dancing, Chris is no stranger to working with elite sporting talent, having covered the World Cup, The Master's Golf and the Olympics during his impressive career with the BBC. UKISUG is an independent user group which exists to meet the needs of all SAP users. We aim to facilitate networking, knowledge exchange and best practice amongst members. We provide an independent voice for SAP users whilst also providing a channel for SAP to communicate to their customers. 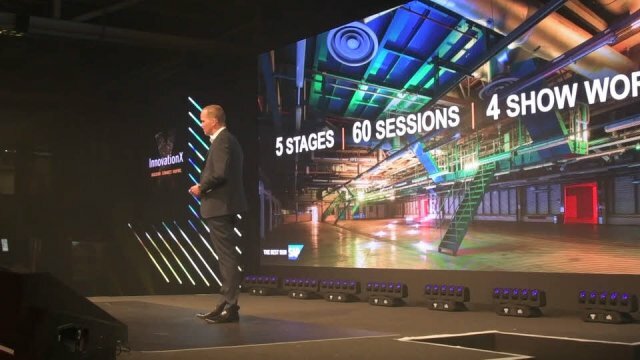 We hold over 100 free Events, including face to face events and online webinars, which cover all SAP related areas and are spread across multiple industries each year culminating in our showcase Annual Conference, UKISUG: Connect. For more information or to get involved with UKISUG please call us on 01642 309930, email support@sapusers.org or visit our website. #InnovationX #LifeChangingInnovation Click here to tweet! You can control the types and channels of information you receive. We contact you only with information that is most relevant to your interests. We carefully choose the frequency of our communications.